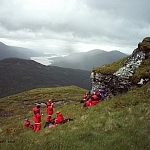 Arrochar Mountain Rescue Team (AMRT) provides search and rescue where requested by the Police, in the Strathclyde region. 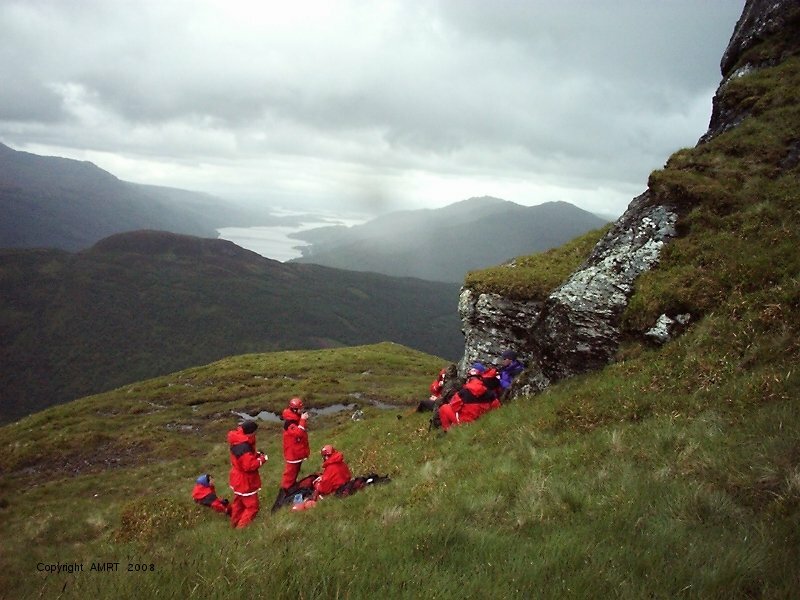 The team has been deployed to areas throughout Strathclyde as diverse as Bridge of Orchy, Gartocharn, Macrahanish, Oban, Glen Fruin, Lochgoilhead, Lochgilphead, Rannoch Moor, Bute, Dalmally, Dunoon, Inchtavannach, Inchconnachan (spot the wallabies) and Inchlonaig (islands on Loch Lomond) as well as the "local" hills the "Arrochar Alps". 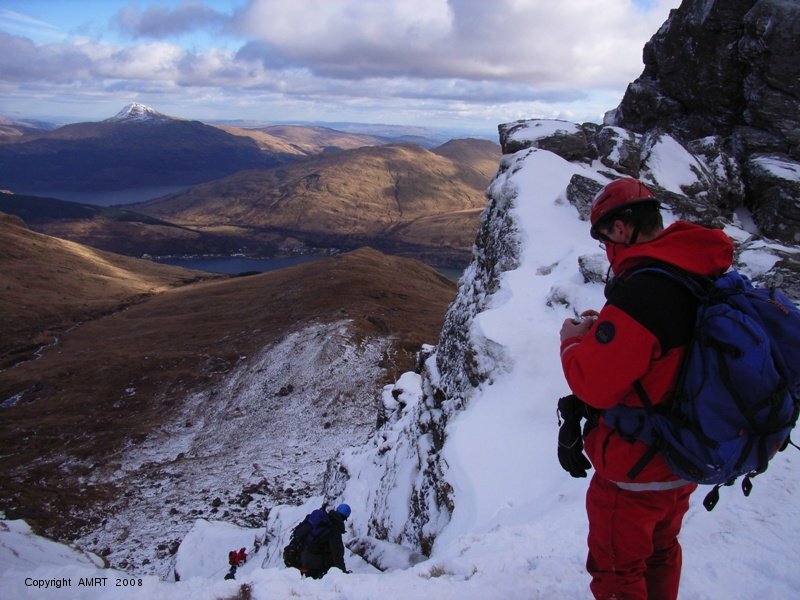 Part of our operational area includes a large area of the Loch Lomond & Trossachs National Park. 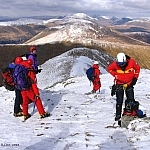 Notable peaks within the AMRT operational area are the Arrochar Munros: Beinn Narnain, Ben Ime, Ben Vorlich and Ben Vane. 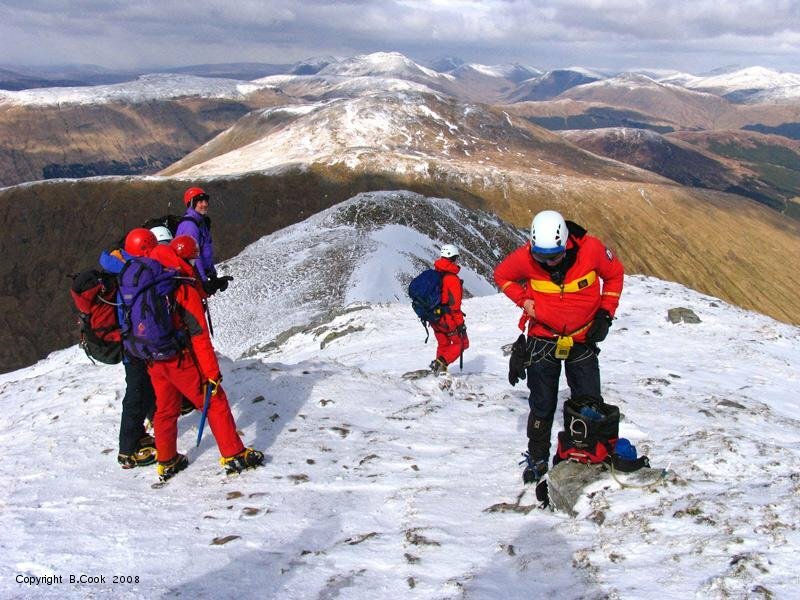 Other Munros include, Beinn Dorain, Ben Achallader (Bridge of Orchy) Ben Cruachan, Ben Lui and Beinn a Cleibh. 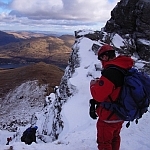 Notable Corbett's include the famous "Cobbler" (Ben Arthur), The Brack, Ben Donich, Beinn an Lochain, Stob Coire Creagach (Binnein an Fhidhleir) and Beinn Luibhean near Arrochar and Beinn Bheula in Cowal, Beinn a' Bhuiridh near Cruachan and Beinn Udlaidh in Glen Orchy.